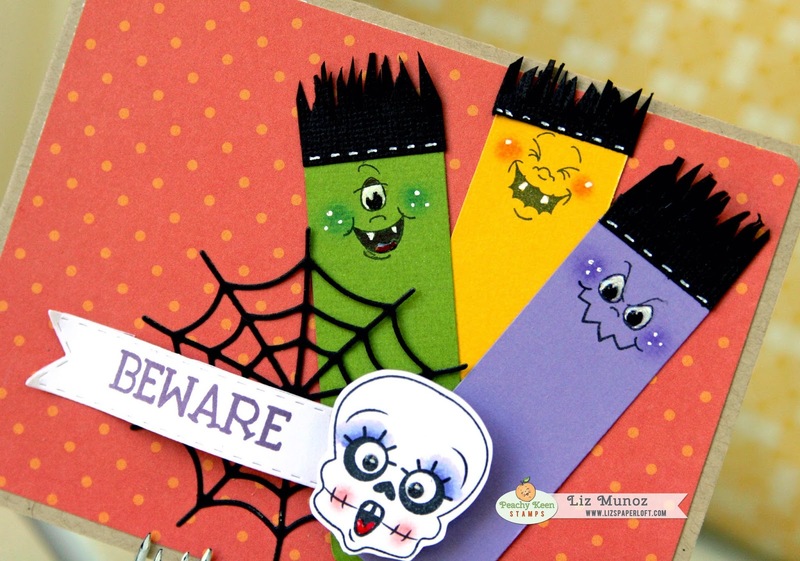 Liz's Paper Loft: PKS Face Day ~ Beware! Happy Monday! It's Face Day over at Peachy Keen Stamps! 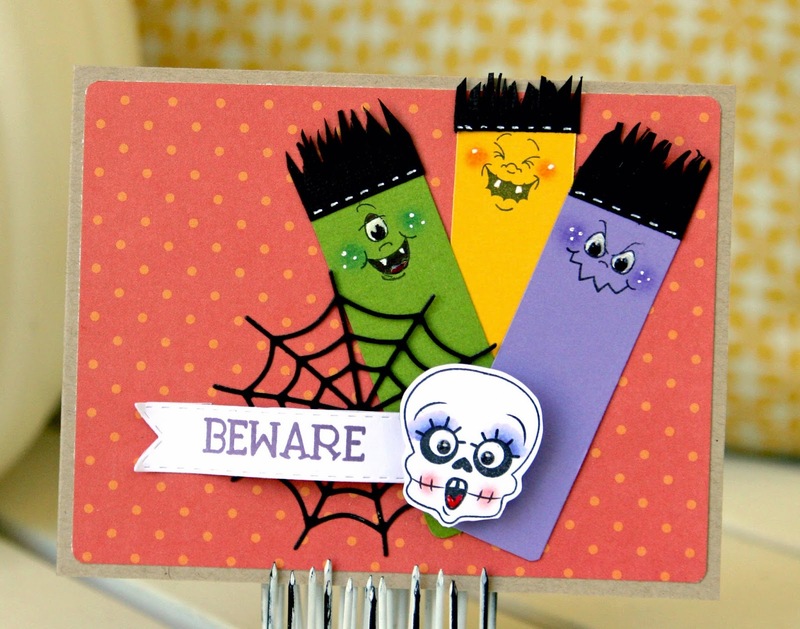 I'm excited to share with you a fun and spooky card using Make a Monster Faces. 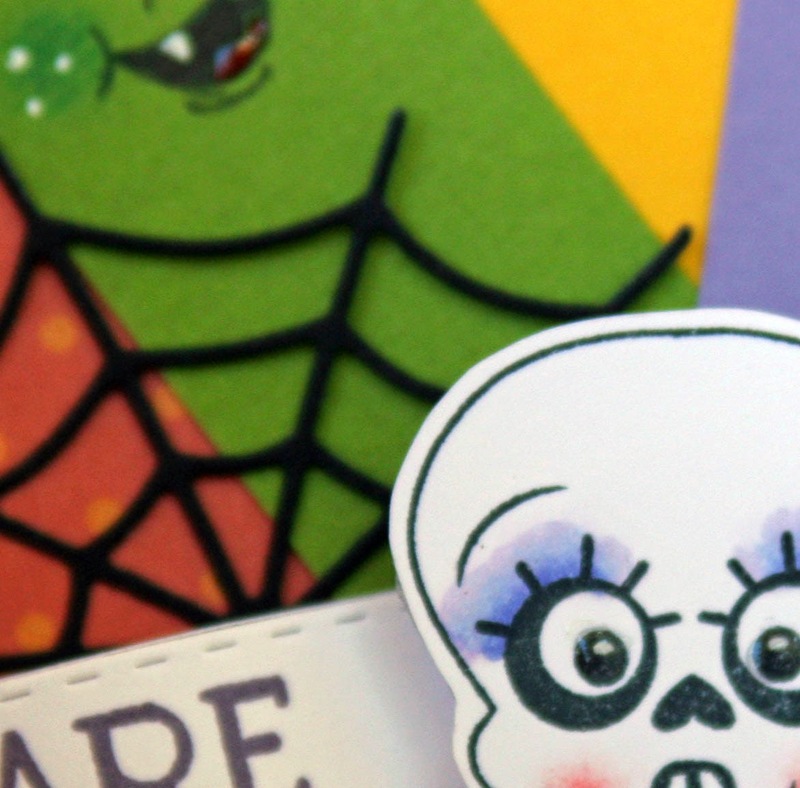 The skeleton face is from Poseable Skeleton and sentiment from Halloween Sentiment and Label. Don't you love the purple eye shadow on the skeleton! LOL!!! This is adorable Liz!!!! Liz ~ Okay I am still stalking ~ playing catch up and you have been one busy lady!!! This is seriously to FREAKIN CUUUUTE too! LVOE that skull ~ I need it!! !